What happens to nationalism after independence is achieved? The majority of the existing work on nationalism has centered on its role in the creation of new states. 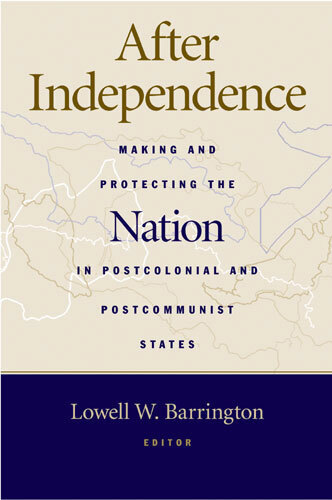 After Independence breaks new ground by examining the changes to nationalism after independence in seven new states. This innovative volume challenges scholars and specialists to rethink conventional views of ethnic and civic nationalism and the division between primordial and constructivist understandings of national identity. Lowell W. Barrington is Associate Professor of Political Science, Marquette University. "Where do nationalists go once they get what they want? We know rather little about how nationalist movements transform themselves into the governments of new states, or how they can become opponents of new regimes that, in their view, have not taken the self-determination drive far enough. This stellar collection contributes not only to comparative theorizing on nationalist movements, but also deepens our understanding of the contentious politics of nationalism's ultimate product—new countries." "This well-integrated volume analyzes two important variants of nationalism, post-colonial and post-communist, in a sober, lucid way and will benefit students and scholars alike."